Home > Gulberg > Gulberg Heights – Everything You Need To Know! After the success of Gulberg Arena, the builder – Al-Ghani Group is all set to launch another landmark project “Gulberg Heights”. It is located on main Gulberg Expressway. The project has been officially launched. And bookings are open for shops and apartments at launch prices. It is ideally located right next to Gulberg Arena at Plot no. 10, Gulberg Greens A Block on main Gulberg Expressway. 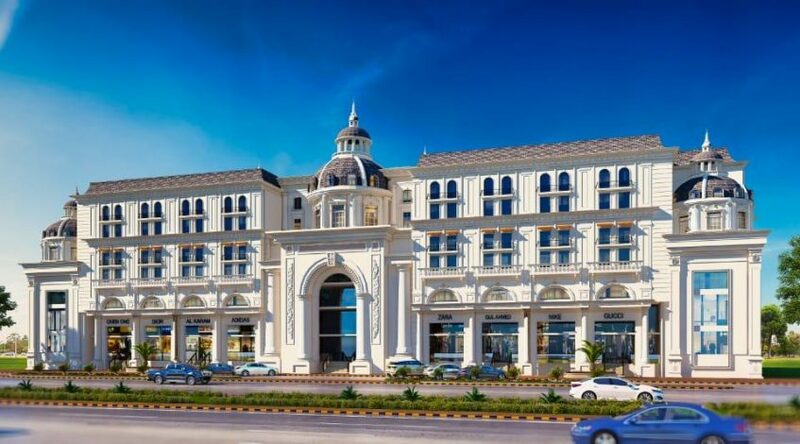 Gulberg Heights is about 15 minutes drive from Zero Point Islamabad and has easy access from all parts of Islamabad and Rawalpindi through Islamabad Highway and Airport Road. Gulberg Expressway is the blue area of Gulberg Islamabad, therefore all the major development projects are being planned on this road. Once this area becomes well populated and more businesses open up their branches, you’ll see an increase in prices for built-up properties. The commercial area of Gulberg will become a commercial hub in the coming future as it will not only cater to the requirements of its own residents but that of the neighboring housing projects like Ghori Town, PWD, Naval Anchorage, Soan Garden, and other societies as well. Gulberg Heights is planned to be a medium rise modern commercial building. 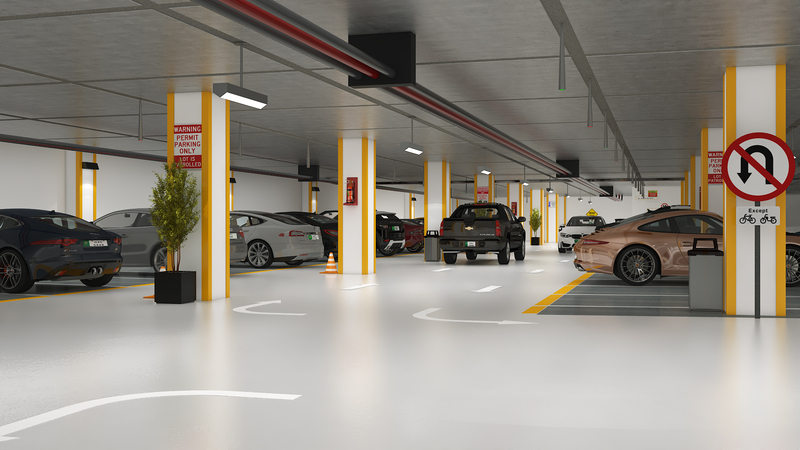 For car parking, two basement floors are reserved. Lower ground, ground and first floors are reserved for a shopping mall. Second, to Fifth floors are reserved for luxury apartments, and 6th floor is reserved for executive apartments. 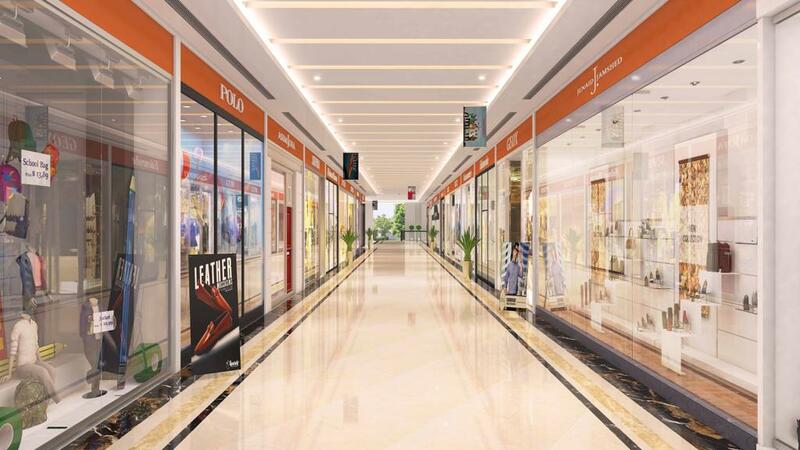 The shopping mall gives you ultimate shopping experience with wide corridors and spacious shops. You’ll find all top fashion brands under one roof in Gulberg Heights shopping mall, so it will be fun for the fashion enthusiasts. 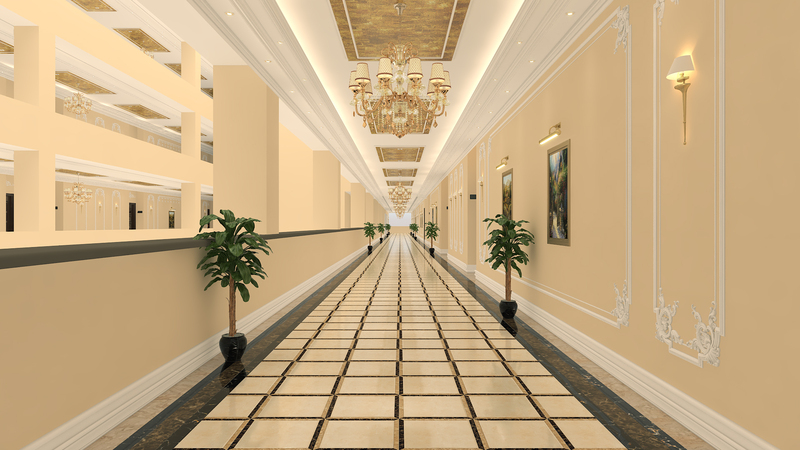 Similarly, the apartments have spacious reception lobby and wide corridors. All apartments are well ventilated. And there is no compromise on the quality of material used in the apartments including sanitary, tiles, wood and fittings. 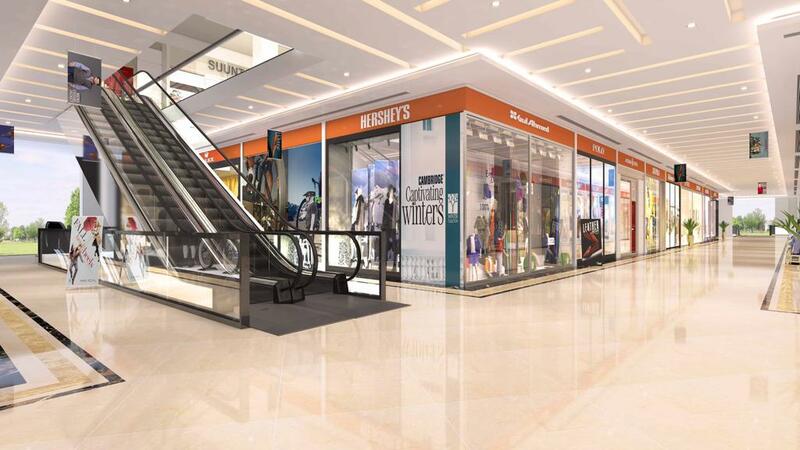 The project offers different sizes of shops, as well as one bed and two-bed luxury apartments on 3 years easy installments plan. Bookings start from 20% down payment, while 10% amount is payable on possession. Remaining 70% amount is payable in 12 equal quarterly installments.